HA NOI — Nearly 300 badminton athletes from 18 countries and territories will take part in the Ciputra Hanoi - Yonex Sunrise Vietnam International Challenge on April 9-14 in Ha Noi. They will compete in men’s and women’s singles and doubles and mixed doubles at the Tay Ho District Gymnasium. Heo Kwang-hee of South Korea is the highest ranked player in the men’s singles as the world No 46. 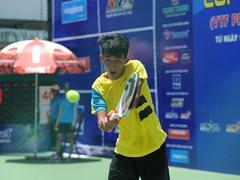 Firman Abdul Kholik of Indonesia, No 51, is the second seed, while Viet Nam’s top player Nguyen Tien Minh, who ranks 64th in the world, is seeded No 3. In the women’s singles, Indonesian Dinar Dyah Ayustine who is the reigning champion, Vietnamese Nguyen Thuy Linh and Malaysian Lee Ying Ying are the top three title candidates. The winners of the individual event will secure US$1,875 while the doubles champions will take $1,975, along with world ranking points.